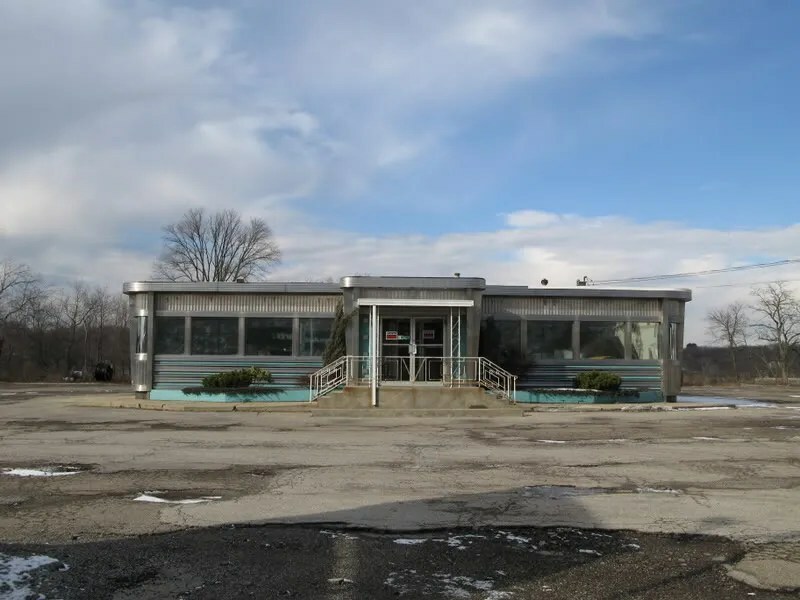 Here is a photo of mine, of the Venus Diner, shortly before it was moved from Gibsonia, PA to Cleveland, Ohio by Steve Harwin of Diversified Diners. It is for sale on their website. Here’s how it appears, more recently, awaiting restoration in Ohio. Some more pictures of it, taken when it was open, can be found here.